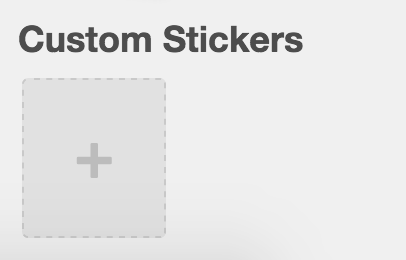 Stickers are a simple yet fun way to add visual flair to your Trello cards. They can be used to communicate the status of a card or to add a little bit of whimsy. The sticker menu is located in the board menu on the right side of your board. To add a sticker to your card, grab the sticker by click-and-holding it with your mouse and dragging it on to the top of the card you would like to add it to. Click-and-hold the sticker you want and drag it on to your card. To move, rotate or remove a sticker from the card, hover your mouse on the card with the sticker to edit and press "e." Then, click the sticker. You can also hover your mouse over the card, click the pencil icon in the top corner, and then click the sticker. This will initiate edit mode for the sticker. To clarify, stickers can only be edited or removed from the board view, where all cards on the board are visible. If you have a single card open, you'll need to close that card before you'll be able to make changes to its stickers. Press "e" or the pencil icon to open edit mode, and click on the sticker to rotate, move, or edit it. 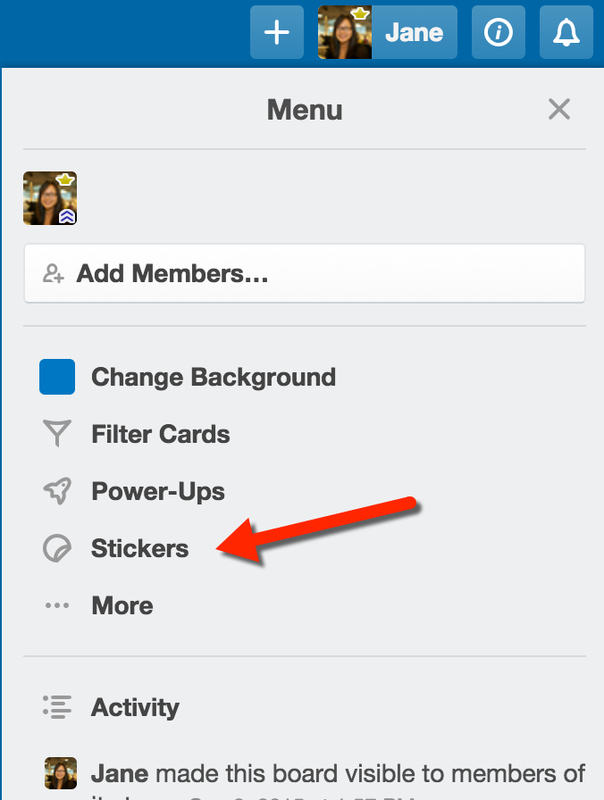 Trello Gold and Business Class subscribers can upload custom stickers by clicking the plus icon in the custom stickers section of the stickers menu and choosing an image file to be uploaded. Upload an image to create your own sticker. 128x128 stickers will show up the most clearly—other sizes will be letterboxed. 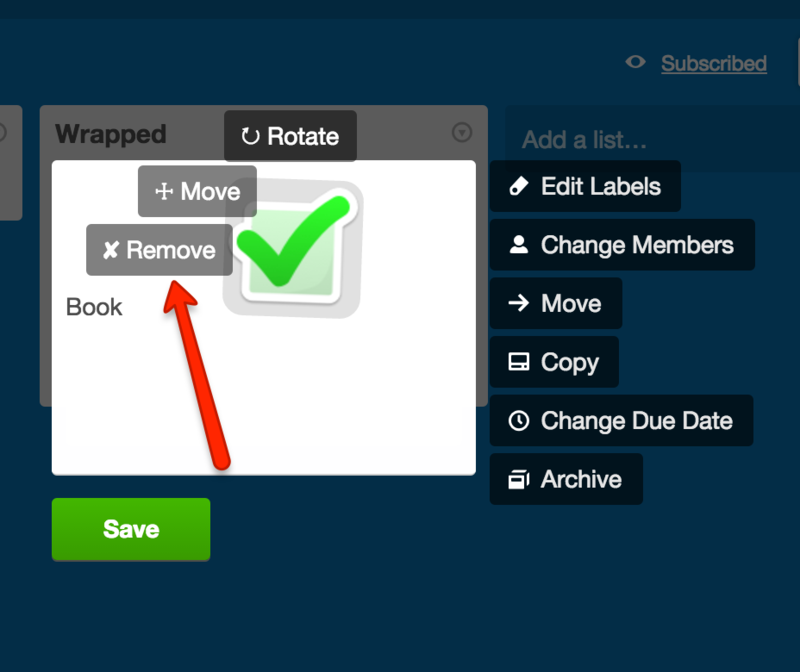 Delete a custom sticker by hovering your mouse over the sticker and clicking "Delete". Deleting a sticker is permanent and there is no undo.